PS If you haven’t yet entered the lovely giveaway from Armadillo Dreams, you can go here to leave a comment. They are giving away a gorgeous wooden Montessori Weather Set. Break thread and thread yarn onto a wool needle. Thread the wool needle through the stitches, remove the knitting needles, stuff with fleece, shaping as you go to get the butternut shape. When finish, pull tight and finish off. Sew in the thread at the base of your butternut. Pick up 4 stitches with a double pointed needle and knit an i-cord for an inch or so. Knit 1 stitch, knit 2 stitches together, keep knitting together until you have one stitch left and bind off. 7 inches tall to the top of the stalk, knitted in a handspun yarn. 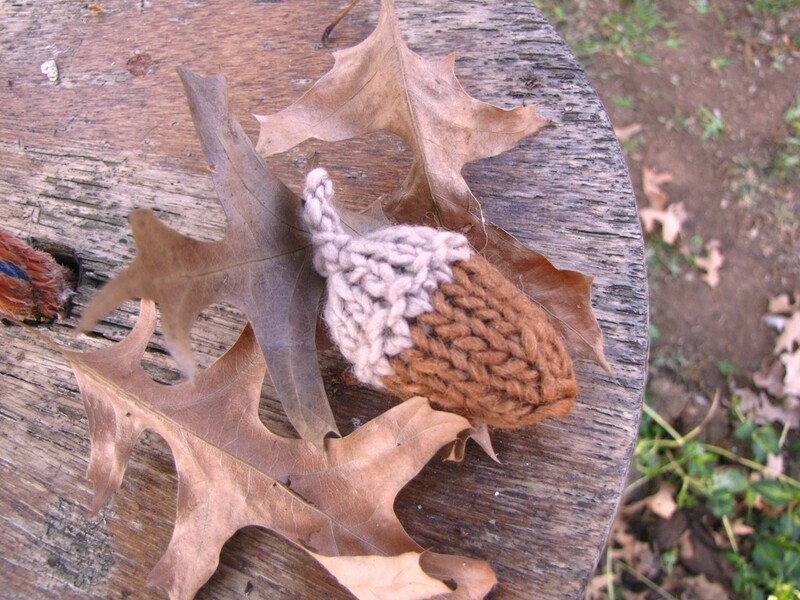 And there you have it, a finished knitted butternut!